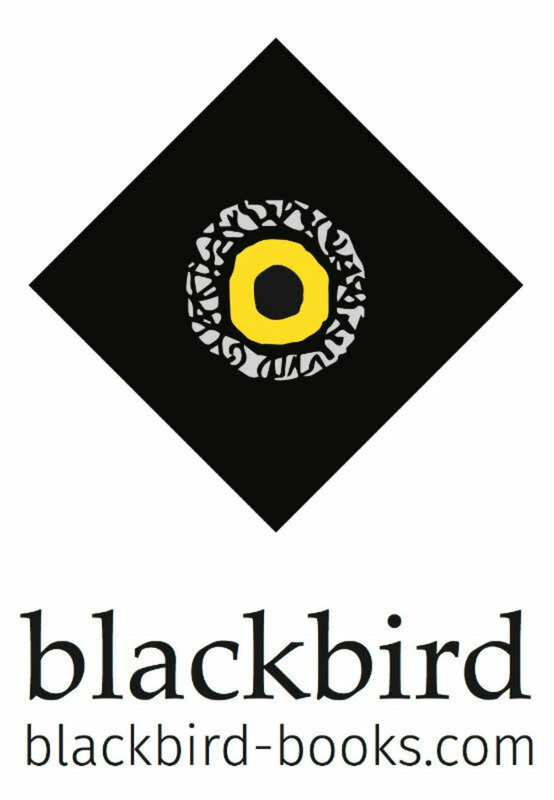 It’s always exciting when an email from Stephanie Zia at Blackbird Books appears in my in-box – you might just already have discovered that their team always has the perfect eye for something different and enticing, and I’m always keen to share whatever they’re doing next. My reading’s a little all-over-the-place at the moment, or I’d most certainly be reading and reviewing their latest – In Foreign Fields: How Not To Move To France by Susie Kelly was published yesterday (3rd December), and is available as an e-book and paperback. I’ll admit that memoirs aren’t always my kind of reading – even when they’re focused on travel – but I’ve skimmed through this book and it’s really quite a story! With her house literally crumbling around her, the number of odd characters Susie manages to attract are only matched by the assortment of creatures appearing from in and out of the woodwork. Terry almost dies, and Susie’s resilience and good humour are tested to the limit. Sometimes it feels more like taking part in a musical comedy than starting a new life in France. Another delightful, very funny, memoir from the bestselling, much-loved, travel author Susie Kelly. We didn’t have any heating, having naively swallowed the estate agent’s assurance that there was no such thing as cold weather south of the Loire. As the temperature during November plunged to zero and kept slipping ever lower, I was very seriously discomfited. The animals were fine, the poultry in their leaf and straw-lined coop – except for Sandra the bantam who continued roosting in M Meneteau’s plum tree – the horses with their shaggy coats and access to a large barn, the dogs in nests of blankets in the straw, the cats seeking out sheltered corners in the barns, and the two parrots’ cages covered with a duvet. On the sofa-bed with its thin mattress through which I could feel the springs, covered by a skinny duvet and one blanket, I was colder than I believed it possible to be and still live. The house was damp. The north-east wind shredded the plastic sheeting we had so optimistically pinned over the gaping doorway in the barn, and in came the rain, hail and snow. It was too cold to cook there, so I put an electric kettle in the living room, which wasn’t a great deal warmer, and lived on hot drinks, cider and packets of biscuits. The electricity supply wasn’t capable of running even a small fan. The small room which in summer had been a cool haven became icily cold as the days shortened and the easterly wind started to bite. Despite the paint and polish I had splashed all over, it became mildewy in no time at all, with new colonies of mushrooms popping up on the walls. Most of the floor had collapsed onto the pungent earth below. As I lay in the dark, I was aware of things nibbling and scuttling around me. Once I’d tugged on the string that caused the light bulb to go off I was usually asleep in seconds, waking later to the sounds of scraping, munching and scampering. Occasionally, light, fast bodies with cool feet ran over the bed, chittering as they went. I burrowed further under the covers. Minimum daywear was at least one set of thermal vest and pants, tights, two pairs of long socks, jeans, T-shirt, jumper, scarf, gloves, woolly hat, sheepskin-lined denim coat. I looked like a cross between a scarecrow and a Michelin man. Instead of my usual Chanel No.5, I now slept fully dressed. And I was still cold. In the morning, I lay under the covers until the dogs demanded to be fed. I spent the rest of the day wandering around, banging my arms against my sides and stamping my feet, scampering around the field with the animals, or huddled in a chair with a blanket wrapped around myself feeling like a Siberian babushka. I ticked away the hours waiting for the first signs of evening, when l could feed all the animals and burrow back into my nest. Terry brought me a thicker duvet and an electric blanket from England. Night time became less arctic but made getting out of bed in the morning more of an ordeal. We had not been prepared for how cold winter can be in an old French farmhouse. One morning, I awoke and was sure I could hear a stream burbling close by; by the sound of it, almost in the garden. I clambered out of bed, into my Wellington boots and stuck my head outside the front door. There was a brisk brown brook swishing its way down the lawn towards the field. Two things immediately struck me as odd: first of all, we had not had a brook running through the garden when I last looked, and secondly, there had been no rain during the night. I followed the brook upstream through the plastic sheeting into the barn where the provisional kitchen no longer stood on a dirt floor, but in a spreading, chuckling ocean of mud. The copper pipes to the sink had burst, transforming themselves into ingenious water features gushing thin, high-pressure fountains from eight splits. The mud was ankle-deep and rising. I sploshed to the phone to call Terry. I found it just above the waterline and stopped the multiple squirts. Over the next two hours, Terry gave an elementary plumbing tutorial via the telephone. I did exactly what he said, cutting through pipes with a hacksaw, joining them up with little brass rings called, for a reason I couldn’t understand, olives, and soldering the splits in the pipes, all the time slithering and sliding about in the slimy residue left by the receding stream. I was colder than ever, soaked and filthy, and we still only had the plastic bucket to wash in. The contents of the refrigerator were frozen: butter, milk, eggs, fruit, cheese and bread were all solid. The washing up liquid had turned to crystals and if shaken made a noise like maracas. The jams and sauces in the jars were frozen solid. All our house plants were dead, turned to a limp green mush. My French dream had turned into a nightmare. A week later, six inches of snow fell overnight. The horses’ water buckets were frozen from top to bottom, so I scraped snow into plastic buckets and brought it into the house, but after four and a half hours in the icy living room, they were still buckets of snow. I borrowed a small heater and stood them in front of it. Within ten minutes, it had all melted, including the buckets which were buckled and no longer bucket-shaped. Madame Meneteau lent me some buckets and filled them for me. I thought how ironic it was that Terry and I had almost certainly earned, over the preceding years, more money than all the inhabitants of the hamlet had jointly earned in their lives, yet while they were all cosily comfortable in their houses, with their wood-burning stoves, I was quite literally freezing. During that first winter, the weather could be bright and sunny one day, and bitterly cold with thick ice the next. Two days later, it might pour with rain, and the following day, out would come the sun again. The horses were particularly perplexed – used to the monotony of cold wet English autumns and winters, they didn’t understand why the seasons changed here with such rapidity. Friends urged me to return to England. It was, of course, never an option even if I had wanted to, not with all the animals dependent upon me. In Foreign Fields is an update and rewrite of Susie Kelly’s first book, Two Steps Backwards(Transworld 2004) – not previously available either digitally or worldwide. Born a Londoner, Susie Kelly spent most of the first 25 years of her life in Kenya. She now lives in south-west France with her husband and assorted animals. She believes that her explosive temper is a legacy from her Irish-American grandfather, but has no idea who to blame for her incompetence as a housewife. Still, she’s very kind to animals, small children and elderly people. Susie particularly enjoys exploring the road less travelled, discovering the lives and events of lesser-known places. Prior to publishing with Blackbird, Susie was with Transworld who sold over 50,000 of her titles in the UK. Some of those are rights-reverted and are now available to readers worldwide for the first time.